Why is innovation needed in Aerospace? Aerospace companies are in the vortex of turbulent times. The speed and skill with which they adapt to the tumult will determine their fate. One market force driving change above all others is the need for OEMs and their supply chain to deliver more affordable products and get them into hands of aerospace customers faster. • Manage the complexity of new material, systems, personalization and manufacturing innovations. • Ensure program delivery on schedule, to specification and at cost. • Integrate simulation and certification at every phase of development. • Deploy the factory of the future to allow for greater agility on rate. Resulting in a new way to conceive, design and manufacture the next generation of aircraft, spacecraft and complex systems, but how? At this year’s Paris Air Show, Dassault Systemes (3DS) will show how we partner with customers to Inspire New Horizons in the Age of Experience. With the April 27th, 2017 opening of the Dassault Systèmes 3DEXPERIENCE Center Wichita, located within the Experiential Engineering Building (EEB) on the Wichita State University (WSU) Innovation Campus, companies large or small may engage in advanced systems development and the manufacturing of next-generation materials and technologies. 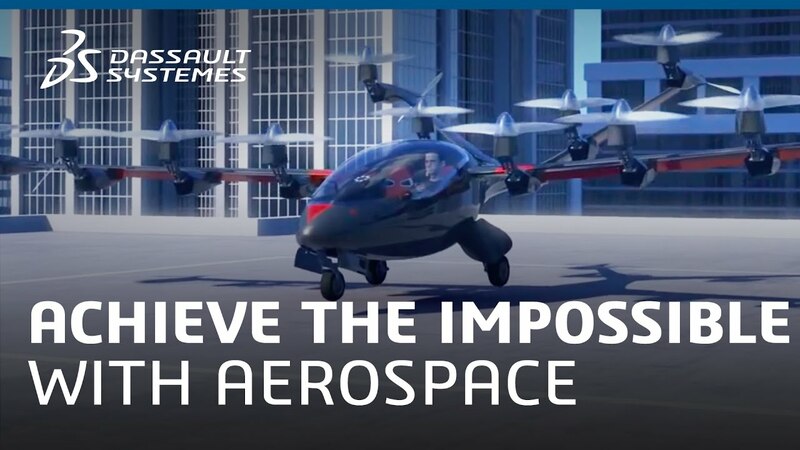 Born through the partnership between the National Institute for Aviation Research (NIAR) and Dassault Systèmes, the 3DEXPERIENCE Center offers expertise, technology and more not only to aviation companies, but companies from many industries. To showcase these abilities to design, produce and certify in short time, the team have designed and built a multi-mission, multi-role Unmanned Aerial System (UAS). On the Dassault Systèmes booth, an interactive experience will be available for visitors demonstrating the use of 3D to enhance the performance of field operations, extending value of the 3DEXPERIENCE platform to MRO using augmented reality. Field operators will be able easily guided through the reconfiguration of the UAS to accomplish a specific mission. The Space industry is entering a renaissance with new investments. Commercial aviation is expanding at an accelerated pace stressing existing infrastructure, production capacity and environmental sustainability. At Le Bourget, Dassault Systèmes will showcase the latest innovations and solutions to enable digital continuity from concept to operation, agility to drive manufacturing rate and simulation technology to bring fidelity to digital twins. Please join us. 3DEXPERIENCE Centers enhance Research & Technology (R&T) with production ready innovation. Drive concept refinement with integrated test & certification for on time delivery. Virtual and real Multi-Robotic Advanced Manufacturing (MRAM) join for increased production agility. Virtual Concept of Operations (ConOps) to validate systems, increase sales and enhance field operations. Meet our experts on Booth E172 Hall 2B. Request a meeting now!